The Tax Cuts and Jobs Act became effective in 2018 and delivered lots of good news, such as curbing of the alternative minimum tax and lowering tax brackets. 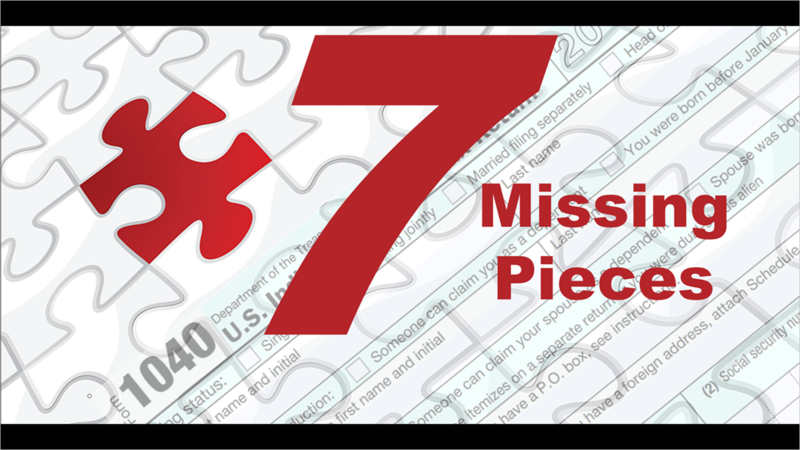 However, in filing your federal return for the first time under the new rules, be aware that these seven popular tax breaks disappeared or were curtailed. Personal exemptions. This longstanding break was axed, and for many it won't be missed because of a near-doubling of the standard deduction to $12,000 for individuals, $18,000 for heads of household and $24,000 for joint filers. The personal exemption was $4,056. This was not technically a deduction, which you subtract from your taxable income; as an exemption, it was a dollar-for-dollar reduction of your tax bill. For a single parent with, say, three children—who would get the standard deduction of $18,000—the personal exemption might have been a better deal unless the standard deduction didn't put the parent in a lower tax bracket. Partly offsetting the loss of the personal exemption is the increase of the child tax credit to $2,000 from $1,000. Unlimited home equity loan interest deduction. Through 2017, you could deduct interest on a loan you took out to buy a boat, fund a vacation or for any endeavor not related to real estate. No more. Now, the loan must be connected to home improvement. What's more, the total of the mortgage and the home equity loan can't be more than $750,000. Unrestricted state and local tax (SALT) deductions. This is a big deal for residents of states like New York and California, which have both high property taxes and hefty state income taxes. Before the TCJA, these levies could be deducted from a federal return, no matter how lofty they were. For the 2018 tax year, however, the so-called SALT write-offs are capped at $10,000. In California, the average SALT deduction had been $20,000. Unreimbursed employee expenses deduction. It used to be that you could deduct any job-related payment from your own wallet that was above 2% of adjusted gross income, provided that your employer didn't pay you back. That deduction is gone. Moving expense deduction. Under the old law, you could deduct moving costs if the relocation was job-related. It had to be 50 miles farther from your previous home than the distance between the old place and the old job. The new law restricts moving deductions to people in the military. Unlimited natural disaster deductions. 2018 was a bad year for natural disasters, with hurricanes and wildfires wrecking lives and destroying homes. You used to be able to deduct a portion of the damages. Now, that is allowed only if you live in an area that's designated as a presidential disaster zone. Alimony deduction. In the past, if you were the alimony payer, you could deduct the payment from your federal taxes. But for those getting divorced in 2019, that can no longer happen. The old rules still apply to divorces prior to this year. With April 17, 2019 filing deadline fast approaching and this being the first return to be filed under the new rules under eliminating or curtailing these deductions, we are here to answer any questions about how these changes affect your personal situation. This article was written by a professional financial journalist for Forrest Financial Services and is not intended as legal or investment advice. © 2019 Forrest Financial Services LLC. All rights reserved. © 2019 Forrest Financial Services. All Rights Reserved.